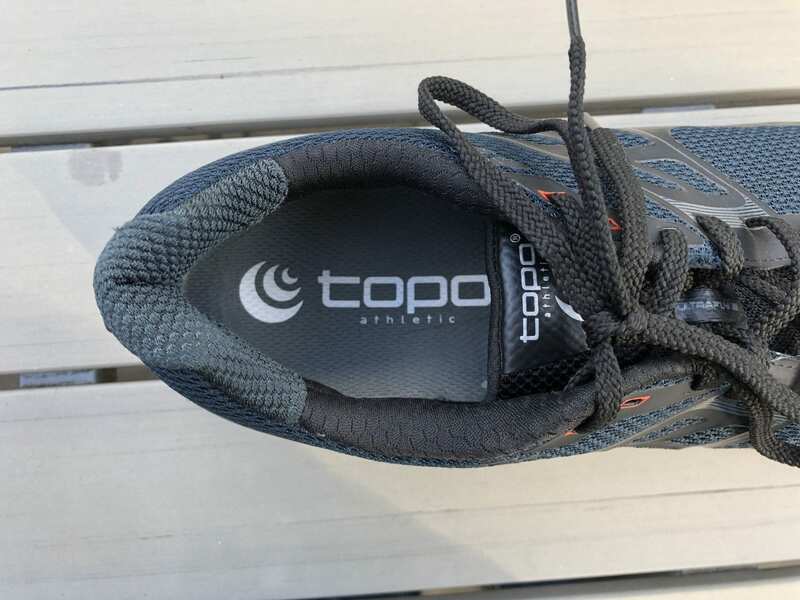 Topo Athletic never struggles to impress with their design process and commitment to their platform, the Ultrafly 2s are a perfect example of this. An update to what was one of our favorite cushioned road shoes, the 2s feature an updated mid and upper. Let’s see how this update stacks up. The new Ultrafly 2 uses a new mesh upper which is definitely stronger than the prior version. It also remains breathable and comfortable despite the new material. The Ultrafly 2 also features an all-new Ortholite footbed provides additional comfort by resisting compression and naturally eliminating odor-causing bacteria. The midsole on the Ultrafly 2 is composed of 3 separate density layers. This provides some level of light guidance letting the shoe sit a spot between neutral and support. It has a nice 28mm stack height in the heel with a 5mm drop, but it definitely never feels pillowy. The Ultrafly 2 outsole remains unchanged, a mix of rubber and EVA, but this means they still grip perfectly. The amount of rubber means a fairly significant amount of extra weigh. Topo could probably dial it back a bit and place the rubber more strategically which would drop the ounces a bit. No real complains here through. 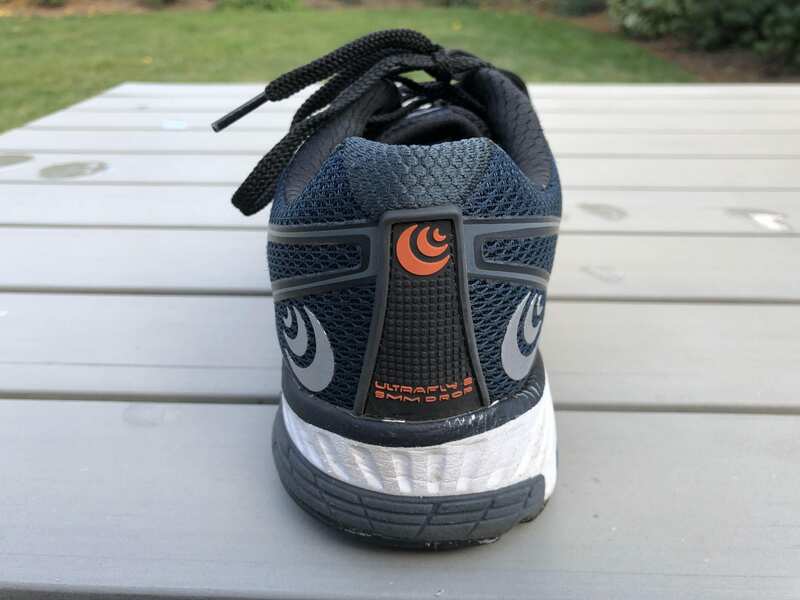 TopoAthletic Ultrafly 2 – Outsole from overhead. Lots of rubber and solid traction. The Ultrafly 2s come in 3 colors all of which are fairly neutral in their palette. The more important change in the styling comes in the visual alignment of the Ultrafly 2s to the rest of the Topo Athletic lineup. Before each model felt a little disjointed from each other, but now they definitely feel like their part of a family. The Ultrafly 2s are just as comfortable as their predecessor in every way. The nice wide toebox gives you an ample amount of toe splay for a relaxing run and you get plenty of cushion in the midsole given its larger stack height.This model continues to be the favorite of their lineup. The Fly-Lyte and MTs are great, but definitely more speed oriented. The Ultrafly 2 gives you a bit more to work with. That being said, it drifts away from any sort of performance level shoe given its 10+ ounce weight. 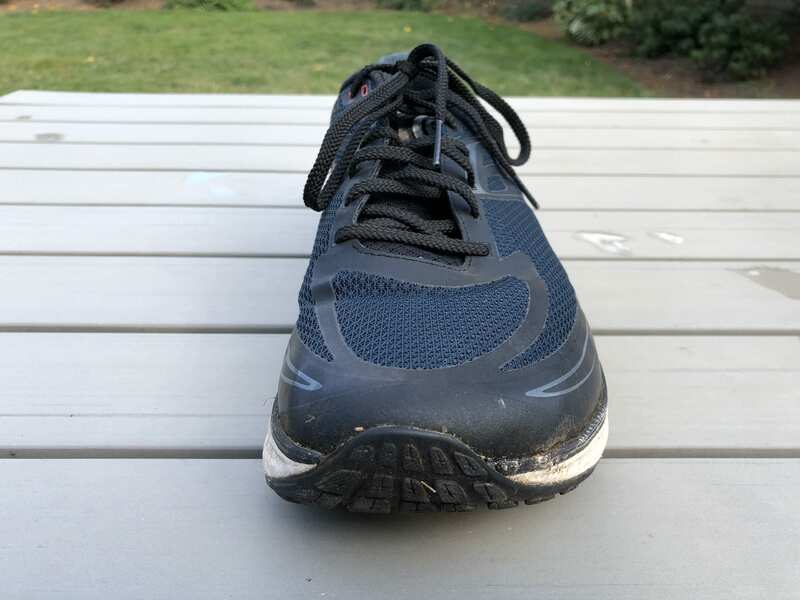 The mid does feel quite a bit stiffer than expected, clearly a modification to improve performance, but at distance it shys away from comfort. The upper is quite nice on the Ultrafly 2 as well. The material choice itself is breathable yet also gives you a bit of side to side support which prevents any medial or lateral sloshing. This is honestly one of the best areas of the shoe. 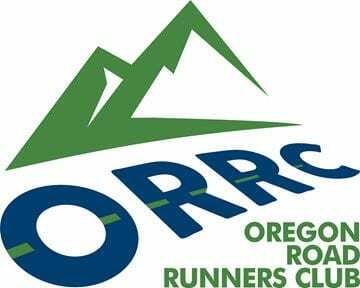 Again, the Ultrafly 2s are definitely our favorite of the lineup especially for typical recreational runners. 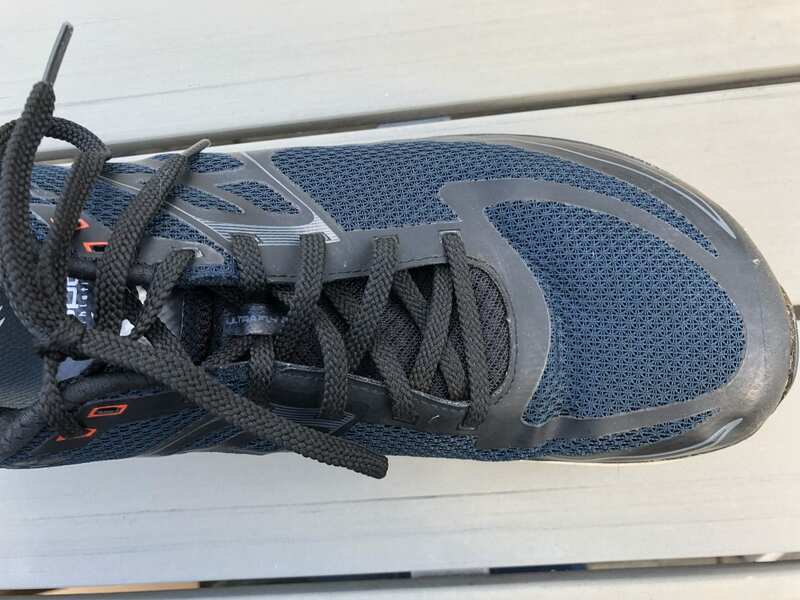 They sport a very comfortable upper, provide plenty of roominess in the toes, and then feature a decent amount of cushion in their 28mm stack height. The 5mm offset also comes in right in at that sweet spot for those moving from higher drops.